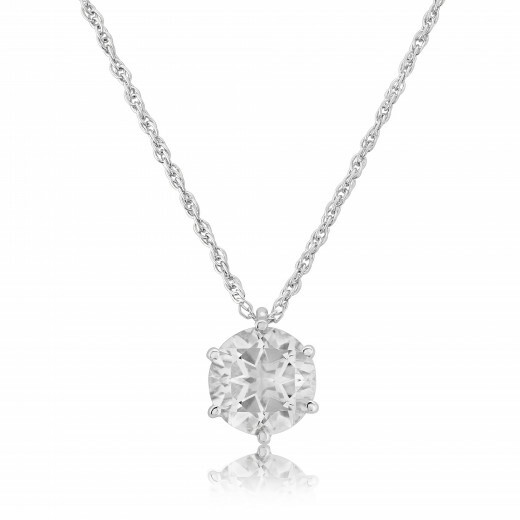 A White Gold Pendant Necklace with a 5mm Rock Crystal held by a six claw setting and strung on a fine chain. 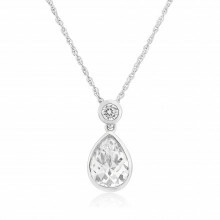 A beautifully understated piece with a bright clear stone and a highly polished finish. This popular gem is said to regulate and balance the body's energies. 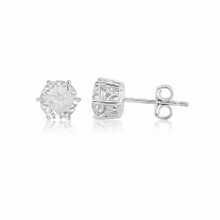 Rock Crystal can also be worn in place of Diamonds as the birthstone for April.